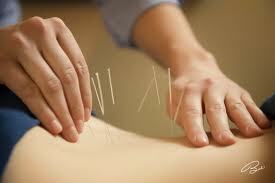 Contemporary Acupuncture is treatment performed by the insertion of single use, sterile, disposable needles. The needles are inserted through the skin, into the underlying muscles and tissues at specific points on the body for the purpose of alleviating pain, relieving pressure on nerves, improving mobility and re-establishing normal function. Massage Therapy during pregnancy can often relieve many of the common side effects during pregnancy, whether you suffer from, backaches, headaches, edema, or other pregnancy related problems. Through all the stages of pregnancy massage therapy addresses various needs using a variety of techniques. One such technique is Swedish Massage which aims to reduce muscle tension, promote circulation of blood and lymphatic flow, as well as promote relaxation. Developed by Emil and Estrid Vodder MLD has grown to be the most well known manual technique to assist lymph flow and aid in drainage of tissues.